2011-2017 Chrysler 300 Dodge Charger Magnum Challenger 3.6 V6 Injen Short Ram Intake5JoseDecember 26, 2014Purchasing from new level was a great experience efficient and good quality product. 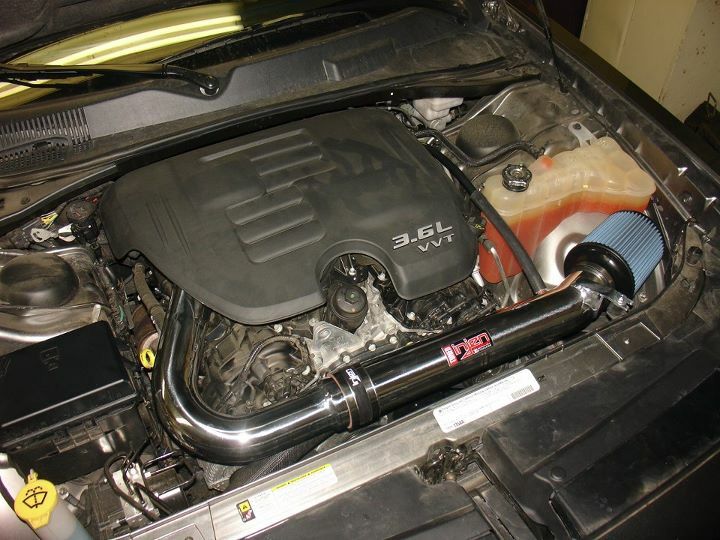 2011-2017 Chrysler 300 Dodge Charger Magnum Challenger 3.6 V6 Injen Short Ram Intake5Derek GordonDecember 5, 2014After reading several reviews on various intakes I decided to go with Injen. I did not see any reviews for a v6 Challenger, so I may be the first. I am extremely happy, increased sound (almost sounds like a turbo) at high rpm. Not sure if I am getting better gas mileage cause I can't keep my foot out of the gas! Awesome product! ! If your are looking for a quick bolt on product thy is easy. ..... and it works. I recommend Ijen. Thanks guys for looking out for those of us who would surely get in trouble with a v8. The Part number for this item is: PF5072P or PF5072WB and it fits 2011-2017 Chrysler 300, Dodge Charger, Magnum, Challenger (3.6 V6 Models Only) models. If your vehicle is a V8, this intake will NOT fit!